When was the last time an industrial giant made a pro-lifer stand up and cheer? I did tonight when I saw Unilever’s new 4 1/2 minute film encouraging expectant parents to bring their children into the world, and introducing their new program for green production and sustainability. The film itself is the most hopeful secular production I’ve seen in decades. The film, Why Bring A Child Into This World?, helps to roll out Project Sunlight. Give them a visit and see what it’s all about. Upon quick examination I didn’t see anything objectionable. Closer examination may reveal areas where pro-lifers feel there could be improvement. If so, let’s not make the perfect the enemy of the good. We have a film that is taking on many parents’ fears and saying that there is every reason to bring their children into the world. Two thumbs up for Unilever!! 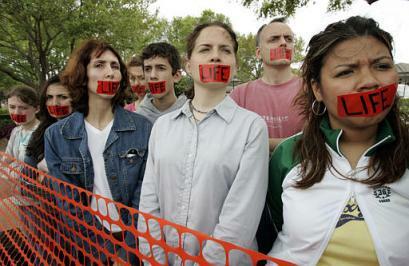 The great effort to outlaw late-term abortions in Albuquerque, NM fell short last night. The efforts on the part of pro-life groups were nothing short of Herculean, and great credit goes to all who played a part. While this means that older babies with more capacity for pain will continue to die horrendous deaths in the late-term abortion capital, all is not loss. We’ll be back with the positive message of hope and beauty, and with the truth of science and medicine, with the great hope of the Gospel of Jesus Christ. One day, we shall overwhelm the good people of Albuquerque with that message of truth, and beauty, and hope; more than all of the money, and lies, and deceit of Planned Parenthood and Barak Obama. And when that day comes, when that great epiphany dawns on the city of Albuquerque, the city as a whole will begin to be transformed. So very many young people played a part. They are possessed of a passion, and vision, and moral courage that my generation never had, and never will. They’re warriors, and they’re beautiful. Yesterday might have been a victory for the abortionists, but it was a costly one. 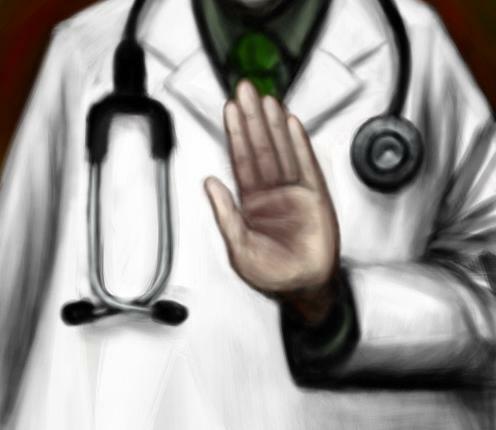 It has roused even more young people, increased their determination, and steeled the resolve of the scientists and physicians such as myself who will no longer stay silent, play the game, and watch our disciplines cooped by activist thugs, corrupt politicians, and third-rate quacks in lab coats. All of the clinical data are on our side, not theirs, and there are more and more of us stepping forward every day. The momentum is with us. That happens when truth begins to avalanche. It builds momentum and becomes irresistible. The days of hacking humans to death are numbered, and it will all happen nonviolently at the polls. It is well-known that women who receive so-called poor prenatal diagnoses are pressured by genetic counselors and obstetricians to abort the baby. Often, as in the case of Down syndrome, the diagnosis comes with just a week or two left before the legal limit to have an abortion. In the midst of the shock and bewilderment, the feelings of inadequacy in the face of certain special needs (Feelings which are completely normal), often comes severe coercion by physicians who will refuse to treat unless an abortion is obtained. Mothers and fathers are asked why they would make their child suffer. Family and babies’ fathers threaten physical, financial, and emotional abandonment. With Down syndrome over 90% of babies are aborted within this crucible. I have heard first-hand accounts that are horrid, accounts where the truth of therapeutic options for prenatal surgeries, post-partum surgeries and therapies often make for very functional children. Even when such is not the option, there is hardly ever a referral to a support group for a different perspective. Then there are the frequent horror stories of the baby aborted and found to have been perfectly healthy and normal. Modern medicine is on a eugenic rampage and the stories of these mothers and fathers need to be told. All names will be kept strictly confidential, and only those stories will be published where written authorization to do so has been obtained. Feel free to contact me with any and all questions. How times have changed. Planned Parenthood and the abortion lobby, once the champions of keeping abortions safe for women, now oppose legislative proposals such as the new law in Texas designed to accomplish those very noble-sounding sentiments used to justify legalized abortion. Specifically, they oppose the suggestion that abortionists need to be board certified Ob/Gyns in good standing and that they have admitting privileges at local hospitals. Worse still, they champion allowing nurses and physician assistants perform these inherently dangerous surgeries. In fact, there was not a single organization involved in the meeting that did not agree that board certification should be the standard for all outpatient surgery. It was unanimous. Over 230,000 Coronary by-pass surgeries. Average of 150,000 Breast Cancer Surgeries. Over 100,000 colon and rectal cancer surgeries. Just from that small sample, which does not include all other cancers, appendectomies, etc… do we see the surgeons militating for lower standards of care, less accountability, no admitting privileges? These are the truly essential, not optional, lifesaving surgeries. And what of the cosmetic surgeons, whose procedures are elective? Do we see them militating for lower standards of accountability? Why is it that the abortion lobby consistently militates for lower standards of care, of accountability? Could it be that a great many abortionists are failed physicians, common butchers? Where is their care for women? Where is their professional pride and self-respect? Why not militate for the highest possible standard of care? Wasn’t this supposed to be about taking abortions out of the hands of butchers and providing the highest standard of care for women? Is there a reason why all abortionists should not only be PHYSICIANS (and not nurses and PA’s), but also trained OB’s who are board certified Ob/Gyns in GOOD STANDING? Would anyone from the other side care to engage in a dialogue by answering these questions? SMYRNA, Ga. — When Pope Francis was elected in March, Bridget Kurt received a small prayer card with his picture at her church and put it up on her refrigerator at home, next to pictures of her friends and her favorite saints. She is a regular attender of Mass, a longtime stalwart in her church’s anti-abortion movement and a believer that all the church’s doctrines are true and beautiful and should be obeyed. She loved the last two popes, and keeps a scrapbook with memorabilia from her road trip to Denver in 1993 to see Pope John Paul II at World Youth Day. So the very worst thing that could have happened to the Church seems to be underway. It’s not that we have a Jesuit pope reaching out to the lost liberal sheep. It’s that the faithful disciples of Popes John Paul II and Benedict XVI are bitterly resentful that Francis is going to stink the place up with the party animals who have been living large while we have been keeping the farm going. It’s the Parable of the Prodigal Son all over again. Ms. Kurt is the faithful son who has stayed loyal to the father while the little brother was off squandering his half of the inheritance (demanded before the old man died!) on wine, women, and song. The father was out on the road awaiting junior’s return, and when it happened the faithful brother was enraged at the joyful welcome. That’s dangerous stuff. It is impossible to presume upon exactly what Ms. Kurt actually believes, but that statement about “bringing back the left that’s fallen away,” speaks for itself. 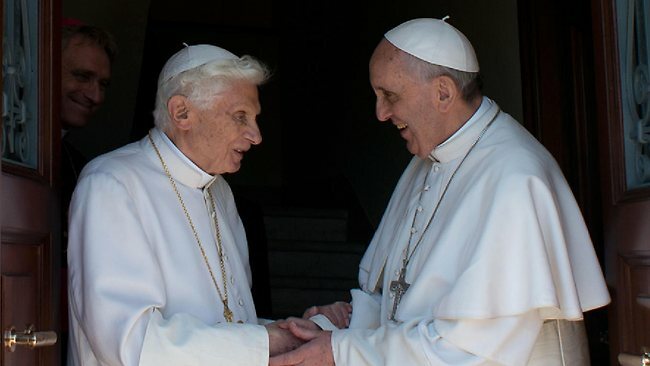 Have we who have been faithful to John Paul and Benedict done so for the right or wrong reasons? Did we think all along that this was la cosa nostra (our thing)? Have we defined ourselves less by the Gospel, which calls all men and women to repentance and salvation, and more by self-righteous hubris? Why the indignation at calling the liberals home? In her article, Goodstein mentions the websites with the private revelations (which sound like the quatrains of Nostradamus). This is a deadly, deadly business. Even if validated, Catholics are under no obligation to accept or abide private revelations. What we have here is a group of Catholics who first consult the Nostradamaesque prophecies and then twist and distort this pope’s words to fit the prophecy. It’s a Procrustean bed approach to the Vicar of Christ on earth. To say the least, it lacks charity. Imagine, taking private revelations as an object of faith, revelations whose wording is as clear as milk, and then using them to demonize a pope; then resenting that pope for being the monster that we created in our own minds. It’s as sick as it is sinful. We agreed to do a day’s work in the Lord’s vineyard for a day’s wages. If we have done so faithfully, what business is it of ours if others who have not worked through the heat of the day come in at the last minute and get paid the same wage? Jesus had a parable about that too. If we have contemplated what hell truly is, and what eternity in hell is all about, we should be rejoicing at the outreach to the lost. This pope has watered nothing down. The question is just how stout our faith has been all along? SYDNEY, November 6, 2013 (LifeSiteNews.com) – Women should be forced to abort their children for the next 30 years as a part of global population control, homosexual activist Dan Savage told Australian television on Monday. The audience responded with overwhelming applause at the suggestion that the world’s women lose control of their fertility. There is much, much more in the article. Get the rest here. So very many thoughts come immediately to mind when I read such sentiments from activists such as Mr. Savage. First, if there are so many people in the world, why do the activists not elect to remove themselves voluntarily? Why must it be that someone else must die, that women be forced to abort their children for the next 30 years, or be forcibly sterilized? Of course, death is never the answer, in any constituency. However, note who Mr. Savage did not mention. No word from Mr. Savage on his constituency. However, by the reckoning of his fellow travelers, if it’s carbon or fiduciary footprinting that is hurting the developing nations, 421 billion dollars could do a great deal of good. Instead, it must be someone else who dies, someone else who pays the heavy price for the self-loathing of the planetary messiahs. These are frightfully dangerous people, and the wild applause of the audience Mr. Savage was addressing indicates that the societal depravity that makes him a sought-after guest has metastasized significantly. The grave danger of this new century is that the very vocal, one-world order folks who are on an inexorable march are also the same folks who are busy promoting and legislating one-child policies, forced sterilizations and abortions, and setting up the collapse of the world economy by the middle of this century as populations completely implode. Graver still, there is no longer a world superpower that stands for human dignity. That used to be the United States, who now ties “reproductive health” packaging to US foreign aid in developing nations. Those packages mandate abortion and contraception for cultures that want no part of them. All of this is driven by the political left, which includes the activists such as Mr. Savage. It isn’t paranoid or conspiratorial to see the political alliances before our very eyes, to see common cause amongst the disparate groups on the left and the social engineering that has toppled the greatest civilization the world has ever known. A new Dark Age is settling upon us, and it is truly cause for alarm. Look to China’s 336 million forced abortions for proof. While we must use the political machine to assert our values, the values that built the civilization which gave birth to that political machine, we must also become ardent evangelists. The ultimate cause behind this darkness is a people who have lost sight of their great dignity. The savages of this world are busy spewing hatred and self-loathing and the Church is losing ground, rapidly. The only antidote to their venom is the Gospel, the good news of our true identity. In the Catholic Church today, that light burns dimly under a bushel. That needs to change in dramatic fashion. Mr. Savage and his fellow travelers have seen to that imperative.